The results of an EU-funded project to treat waste water with bamboo are now being marketed. The project established the market viability of intensified bamboo-based phytoremediation for dairy and other food industry grey water applications. In other words, a bamboo forest can treat industrial discharge on a large scale. The French company Phytorem is selling the managed process as the Bambou Assainissement (bamboo sanitation) filter. The process can be scaled for both domestic and industrial waste water, and is suitable for hotels, camp sites, retirement homes, housing estates, isolated infrastructures, wildlife parks, landfills, storm water and more. Phytoremediation is essentially vegetation filtration. In this case the vegetation is a bamboo forest. Bamboo is well-suited because it has a very dense root system, is fast-growing, and suited to a wide range of climatic conditions. 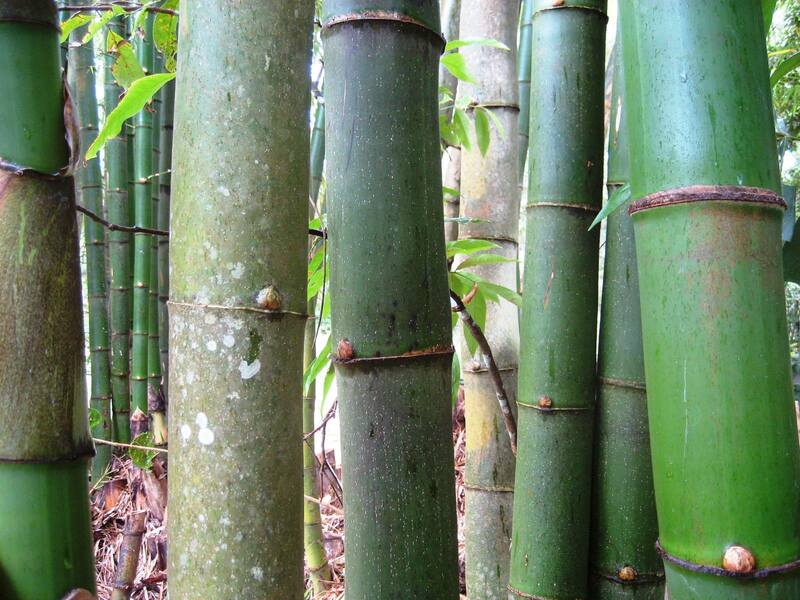 In addition, the bamboo can be harvested for fuel, construction, furniture, textiles or paper, just to name a few uses. The Phytorem web site also suggests food, but I’m not sure I’d be keen to eat bamboo shoots grown in industrial waste. Of course, the use of phytoremediation has limitations. An EPA paper outlines some of the limitations and disadvantages for the broad process of phytoremediation. They include: depth limitations of the plant roots; the process is slower than other treatment methods and dependent on growth rates; leaching of contaminants into the groundwater and environment; and, accumulation of contaminants that may pass into the food chain. 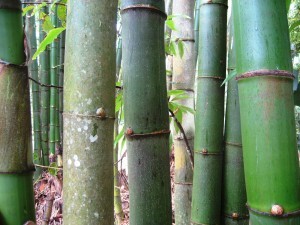 The many unique properties of bamboo, however, overcome some of the disadvantages of other types of vegetation used for phytoremediation. It gives me hope. Do you have any experience with bamboo as a grey water treatment? This entry was posted in All, Bamboo around the world and tagged bamboo, bamboo forest, industrial waste, Phytoremediation, Wastewater on 05/11/2013 by Deb.